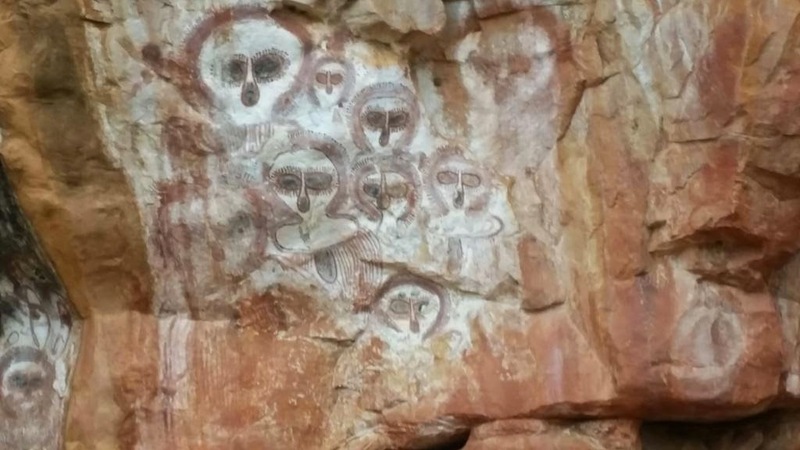 Having recently returned from an amazing trek in northern Australia, I wanted to share with you my experience travelling the Gibb River Road. We flew to Darwin, a fabulous city, for a four day winter sojourn. There was bike riding along the waterfront, swimming at the wave pool, a visit to the War Museum, great food and finally the Mindal Market experienced under the glow of the best sunset. 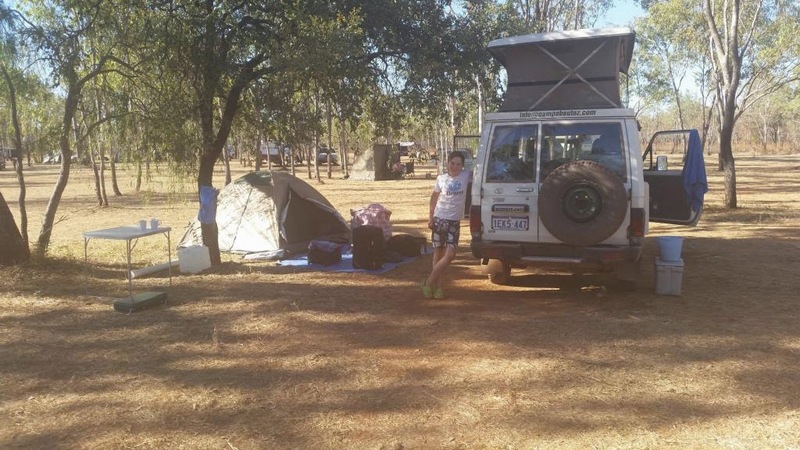 On the 30th June we picked up our 4-wheel-drive bush camper and headed to Katherine, which is a thriving place. The sunset tour on the Katherine Gorge has to be on a ‘must do’ list. After Katherine we crossed over into Western Australia and went to Lake Argyle. This is an amazing place. The Ord River was dammed creating the biggest lake in the southern hemisphere. It supplies water for a vast irrigation scheme in the Kimberly where massive sandalwood plantations are being developed. 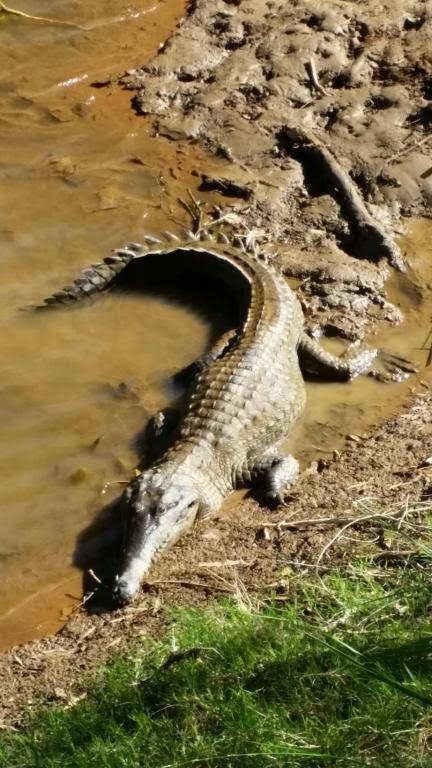 The lake is home to incredible wild life, lots of different birds, fish and over one hundred thousand fresh water crocs. We took a sunset cruise on the lake which ended with us all jumping in and swimming around in the middle of Lake Argyle, with the crocs! From Lake Argyle we drove our trusty troopie to the Bungle Bungles (Purnululu). 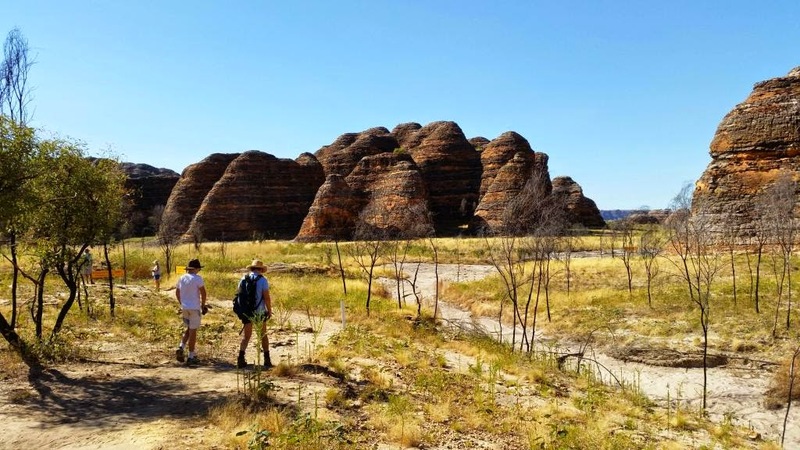 Here we walked the many magnificent gorges experiencing the changing colours of orange, red, pink and purple with the movement of the sun over the sandstone escarpments and gorges. Then we were off to El Questro, great gorges, hot springs and the start of the Gibb River Road. 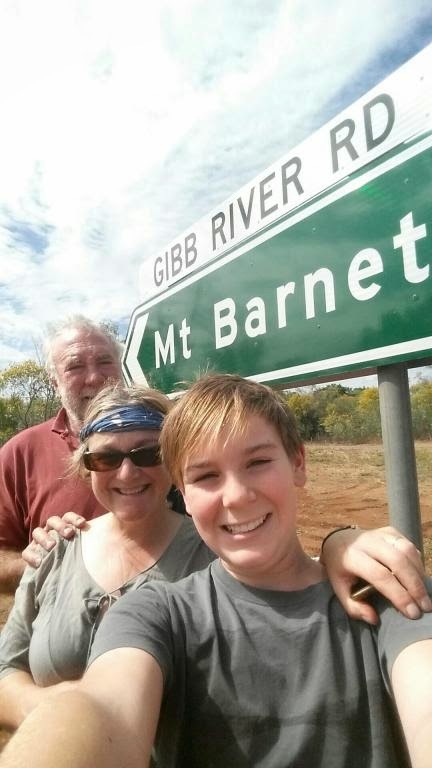 The Gibb River Road is mostly dirt, running from Derby to Kununurra. It passes through vast savannah grasslands with sandstone escarpments and ranges, such as the King Leopold Range. A detour up to the Mitchell Falls and camping at Drysdale Station tested my 4 wheel driving skills but overall we were lucky with the road conditions and river crossings. We hiked into the falls, had a great swim and helicoptered out, a real highlight as it was our first helicopter flight. We had an amazing view of the eighty meter falls and can only imagine what they would be like in the wet season. 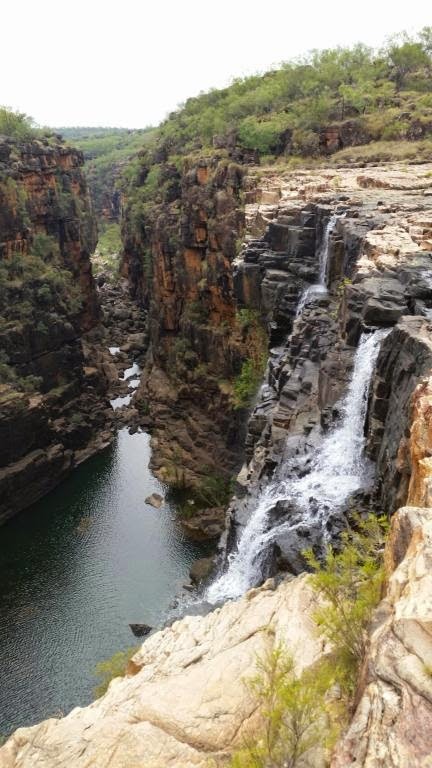 From there we continued along the Gibb, stopping in at Galvin Gorge and Bell Gorge for well-deserved swims. We camped on Bell Creek near the local Aboriginal communities’ swimming hole where we befriended some local kids. Over the next couple of days James (my son) and I had a ball with them, swimming and swinging from their rope swings. 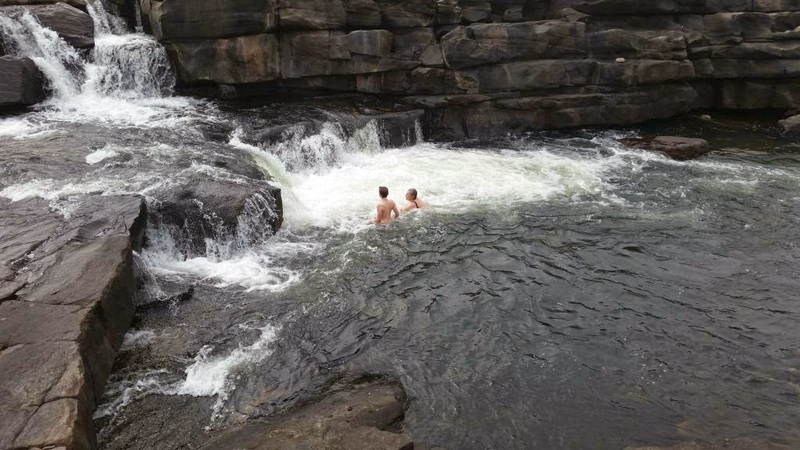 Then there was bush camping at Lennard River and visits to Winjama Gorge and Tunnel Creek. If you want to see fresh water crocodiles, Winjama Gorge is the place to go, they line up like cars in a car park basking in the sun. The Barnett River Roadhouse and the Iminet Store provided us with fuel, ice and more importantly a latte to go. Finally we made it to Derby and Broome where it was back to hot showers and comfy beds. Cable Beach has to be one of the best beaches in the world. 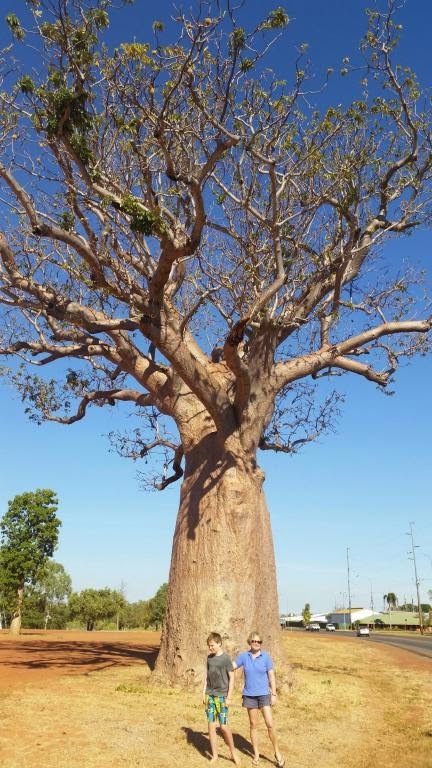 I forgot to mention that the Boab trees, synonymous with the Kimberly, are now my favourite. It was thirty degrees with blue skies when we left Broome, arriving in Melbourne to the winter chills was quite a reality check. To top off a wonderful trip the practice didn’t miss a beat, we have such great staff at the Bendigo Animal Hospital! Take great pride in our reliability Soil and mulch and buyer assistance, two regions of utmost importance when doing a building task. We offer you normal upgrades so that you constantly know in which any project depend on and we will probably be accessible to answer questions that occur.